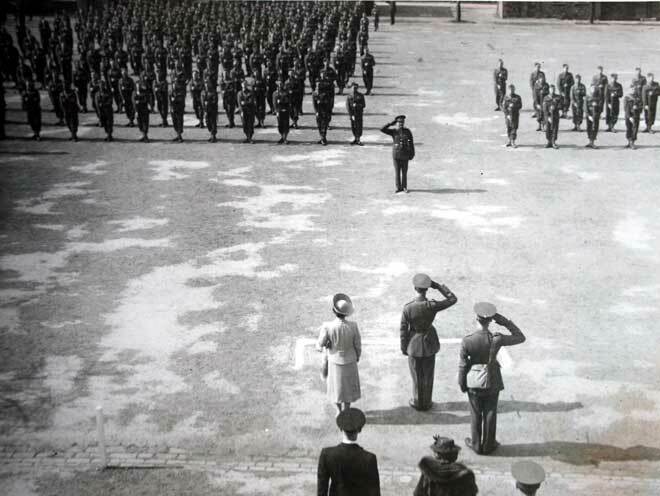 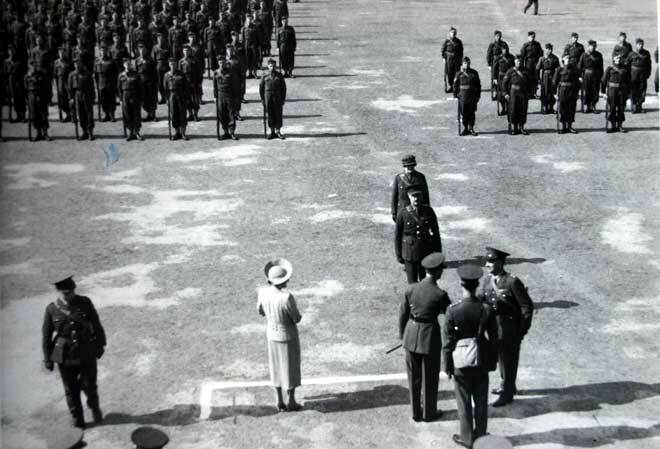 Visit of King George VI and Queen Elizabeth to the King's Own Infantry Training Centre and Auxiliary Territorial Service at Bowerham Barracks on 2nd May 1940. 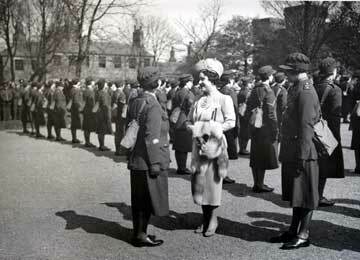 Queen Elizabeth inspecting the ATS. 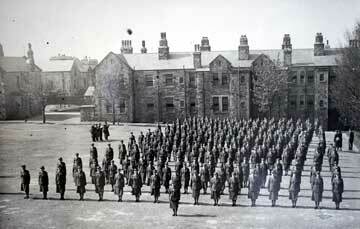 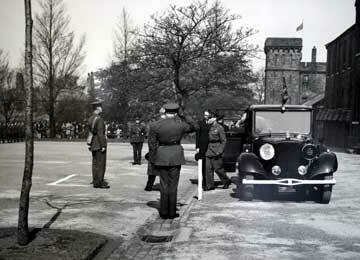 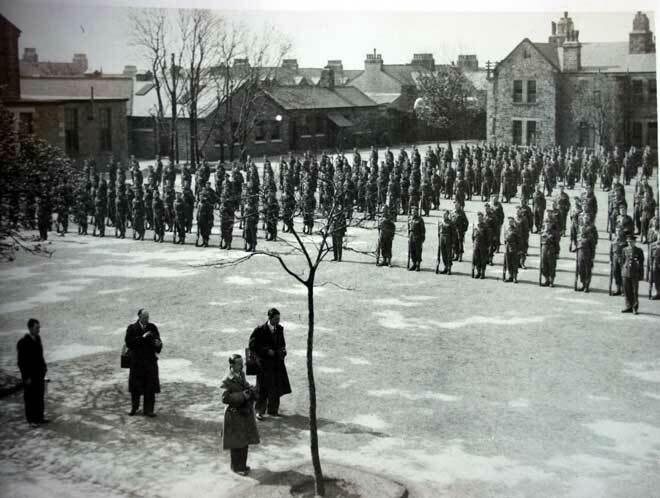 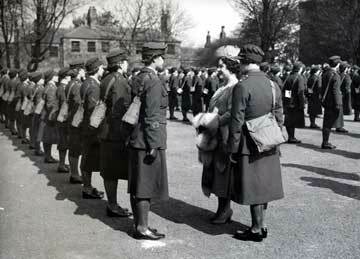 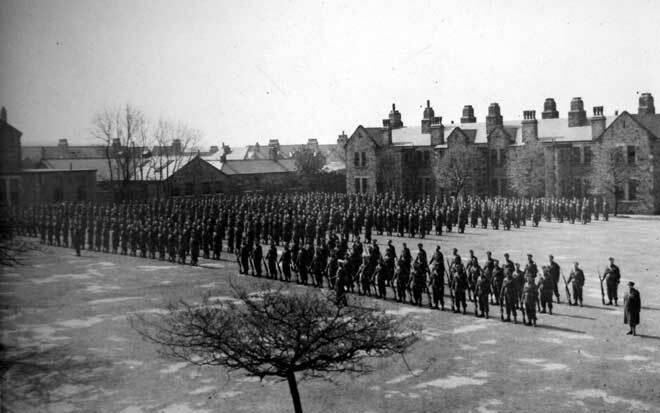 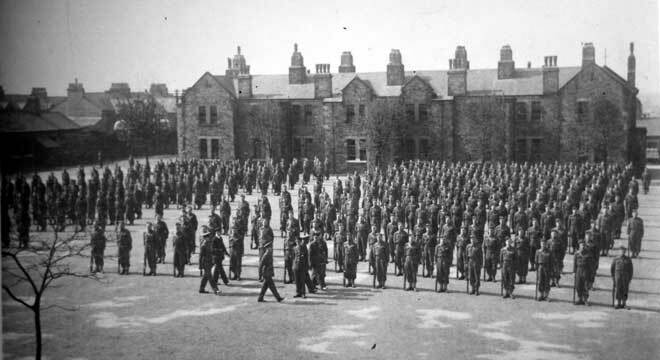 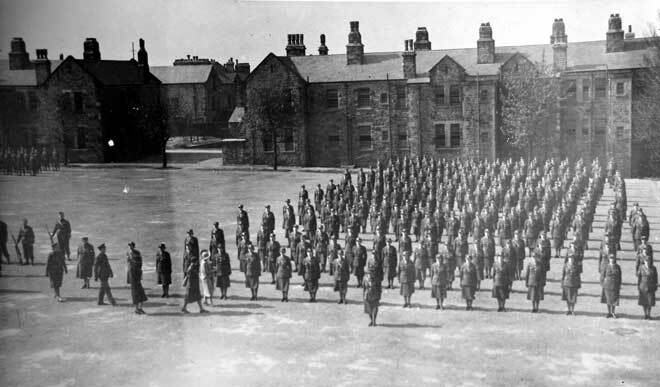 The ATS on parade for the King and Queen, 2nd May 1940. 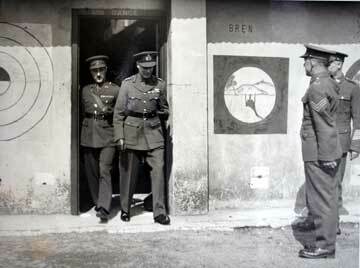 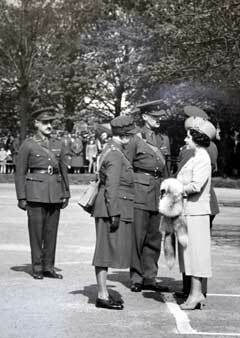 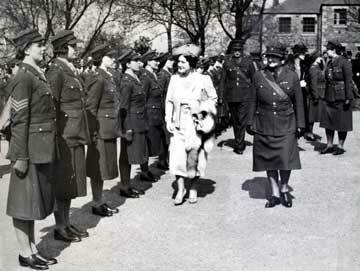 Royal visit to Bowerham on 2nd May 1940, The King, accompanied by Lieutenant Colonel R P F White, MC, Officer Commanding the Depot, is on the left. 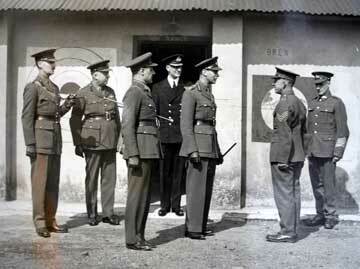 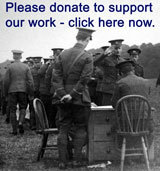 The King is speaking to Sergeant H G Phenna MM after visiting the miniature range.